Anyone recognize any of these lovely ladies? The Miss Rice Park competition was held in conjunction with a fashion show titled “Beautiful People in Fashions” to raise funds to improve Rice Park. Proceeds from this event went towards completing payments on a concession stand and tennis court construction. 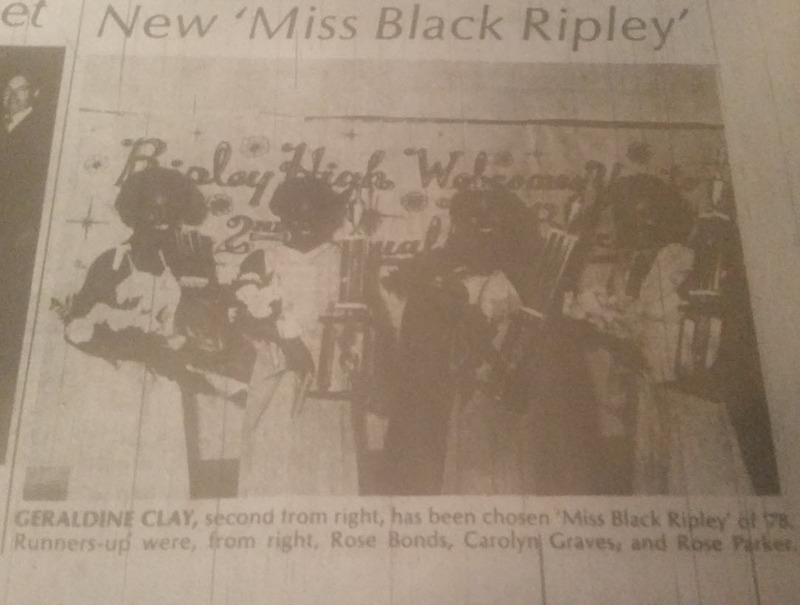 This event was held at Ripley High School and admission was $2 per person. Miss Rice Park Contestants – Cynthia Harris, Sharon Watkins, and Trenice Currie.